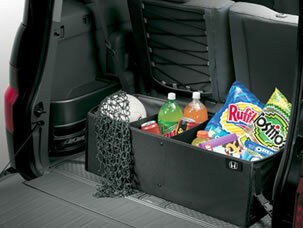 The Cargo Organizer is a sturdy canvas that gives added support to your belongings. Its collapsible for when its not in use. The dividers partition the organizer to keep items separated and secured.